Yes, we’re gonna talk about Reverb. 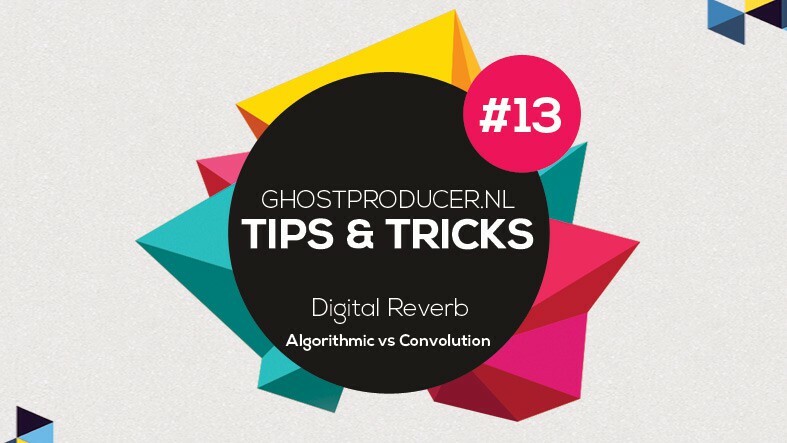 Ever since the introduction of digital music recording and processing, the audio community has been looking for ways to get digital reverberation sound as close as possible to a real space situation or true analog forms of reverb. The theory is fairly simple; a large number of reflections of a sound signal which then is absorbed by objects (or the air) in the space. Mathematically it can be quite tricky though to get digital emulations of real reverb sound as good as the real deal. In a practical DAW situation you will probably come across these two forms at some point. From the start, this form is based on mathematical formulas to recreate (or emulate) the process of reverberation. Because of this, algorithmic reverb is highly customizable. You can change pretty much every single parameter, such as the decay time, dampening, room size, early reflections, pre-delay and many more. Pretty much all DAWs include one or two Algorithmic Reverbs in their standard plugin package. Though, the different manufacturers all have created different algorithms to simulate the effect of reverb. Because of this; the different algorithmic reverbs have their own characteristics as well. So what plugin you use, is up to you completely. Now please keep in mind; a lot of the classic hardware electrical gear is actually digital as well, such as the classic Lexicon reverbs. Others can be a combination of electrical and true analog, such as some plate reverbs as the classic EMT 140. On a side-note Universal Audio has some really nice emulations of both of these, which I personally both use on a regular basis. This form uses ‘Impulse responses’, usually a short noise shot sound or in more recent times a longer played series of sine sweeps (which is then stretched back to if it were a shot, which is less likely to get random distortion in the signal and thus results in a higher quality impulse response), recorded in real rooms or through hardware gear. The convolution reverb then analyzes the resulting signal (the impulse response) to analyze what kind of reverberation is happening in that room (or analog hardware). It can then reproduce this reverberation to use on your own sounds, by doing some advanced mathematical operations. This way you can get a very realistic sounding reverb on your own sounds. Think of a large cave, a big church hall or even a classic lexicon or EMT 140 analog reverb. The downside is, it’s not as flexible as a true algorithmic reverb, due to the fact you’re limited to the impulse responses you use. It’s usually also a bit more heavier in the usage of your CPU. That’s it for this time. Hope this production tip helps you with your tracks. Happy producing! And if you need any help, you know where to find me! ?